Chancellor, I introduce Mark Bailey, better known as Bill Bailey, one of the UK’s most original, recognisable and best-loved comedians. He is also a successful actor, TV presenter, musician and author who devotes much energy to his interests as a naturalist and conservationist and to his roles in promoting cancer research. In his career on stage and screen, in his passionate support for the protection of wildlife and in his use of his celebrity in promoting support for cancer research, he is a role model for all. 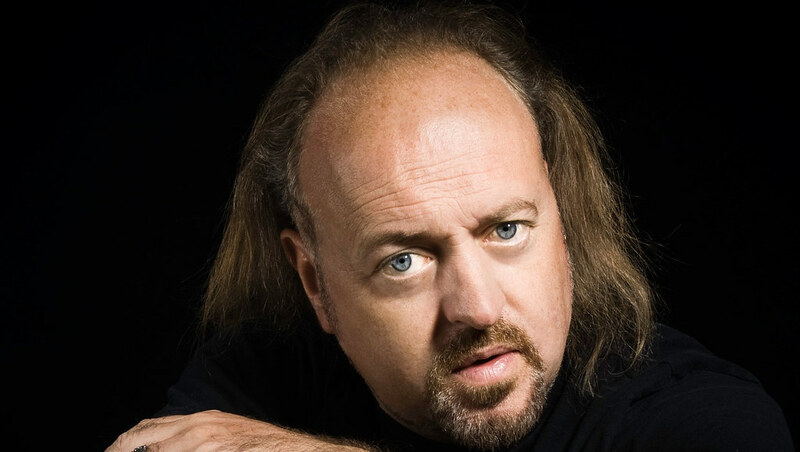 Bill Bailey was born in Bath and grew up in Keynsham. He attended King Edward’s School (KES) in Bath, initially achieving academic success. When interviewed for the BBC’s Comedy Map of Britain, his teacher Ian Phipps recalled that he was “very talented and a joy to teach”; indeed, it was Phipps who coined the nickname “Bill Bailey” for him. However, he soon became distracted by the thrill of performance as a member of various bands. He entered Westfield College, London, to study English but his love of public performance again overtook him and he abandoned his degree to make his TV debut in a BBC children’s programme. Bill Bailey then started his comedic career touring the country with more established anti-establishment figures. In 1984, he formed a double act with Toby Longworth, a fellow KES alumnus. His breakthrough into national acclaim came at the Edinburgh Fringe in 1994, winning a Time Out award in 1995 and being nominated for a Perrier Award in 1996. He also won the Best Live Stand-Up award at the British Comedy Awards in 1999. His role as put-upon Manny, assistant to bookshop owner Bernard, in the acclaimed series Black Books, made Bailey a recognisable TV face in 2000. He followed this with six years as team captain on the TV comedy quiz Never Mind the Buzzcocks and has made frequent appearances on QI and Have I Got News for You. He continues to tour internationally as a comedian, with shows such as Bewilderness, Part-Troll, Tinselworm, Qualmpeddler and Limboland. He appears on television, in films and on stage, both as a comedian and as a straight actor, appearing in an episode of Skins, an E4 drama set in Bristol and addressing key issues in the lives of young people. His cerebral humour and style were described “Reithian”, in that he educates, informs and entertains. He is more than an extraordinary comic performer and actor; he is a classically trained musician and multi-instrumentalist, integrating many musical forms into his shows. This ability to entertain and educate was amply demonstrated by his show Bill Bailey’s Remarkable Guide to the Orchestra, with the BBC Concert Orchestra. He has a great interest in the environment and conservation of wildlife and habitats. In 2013, he presented a BBC documentary Bill Bailey’s Jungle Hero, expounding on the work of the explorer and naturalist Alfred Russel Wallace, co-originator of the theory of evolution. He is Patron of the Wallace Memorial Fund, which raised £50000 for a bronze statue at the Natural History Museum. At its unveiling, Bailey described Wallace as a “maverick genius which deserves much greater recognition for his brilliant discoveries” but it is Bailey who needs to be recognised as a maverick genius in presenting interesting and difficult topics in an off-beat and engaging way. Several close family members have suffered from cancer and he threw himself into raising funds for research and promoting important messages for cancer patients, their friends and families. He was a Patron and activist for Prostate Cancer UK, launching Men United vs. Prostate Cancer in 2014; this initiative raises funds for research and promotes awareness of the disease amongst groups at higher risk. He has recently completed “Bill’s Ridgeway Walk”, to raise money for cancer research through Stand Up To Cancer. Bill Bailey is a “local boy made good”. He is an extraordinary and individual performer in comedy, music and acting. He is an extraordinary communicator and advocate for causes in the environment and cancer. Chancellor, I present Bill Bailey who is eminently worthy of the degree of Doctor of the University, honoris causa.